Electronic and DALI wiring cables available. 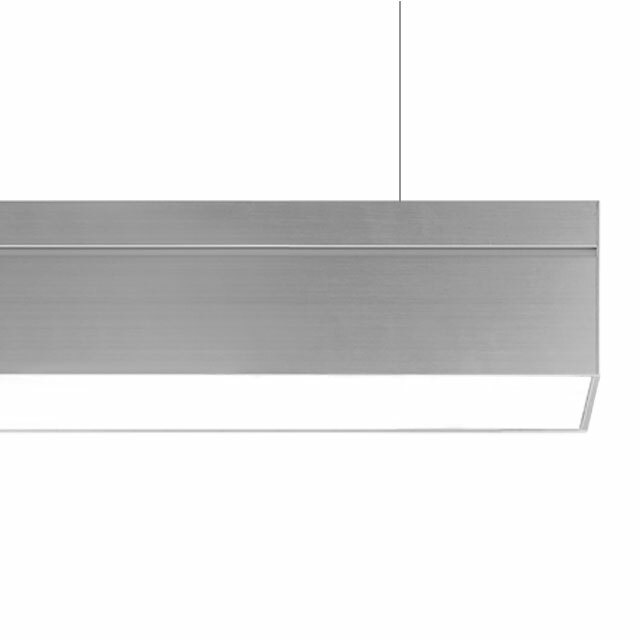 Pendant version with cables equipped with a system for millimetric regulation. UGR<19: a comfort version with a microprismatic screen specifi cally for workplaces ensuring values of UGR < 19 and controlled luminance < 3000cd/m2. General Lighting: general light with opal diffuser screen for soft and comfortable lighting.